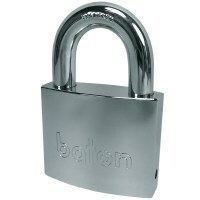 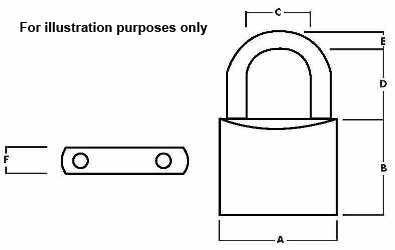 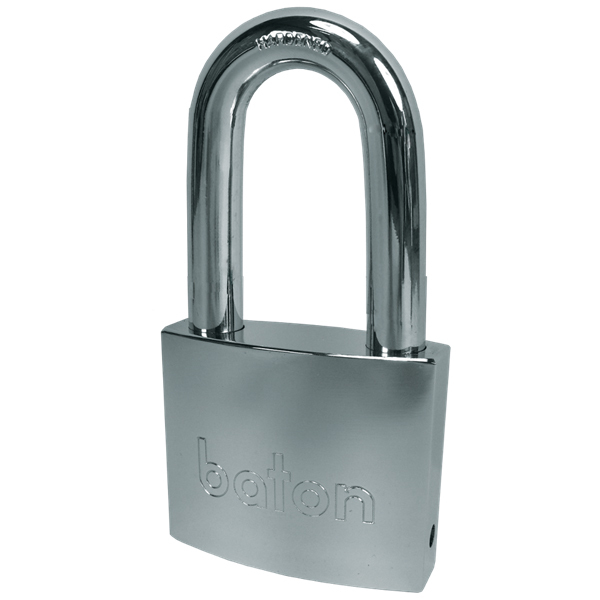 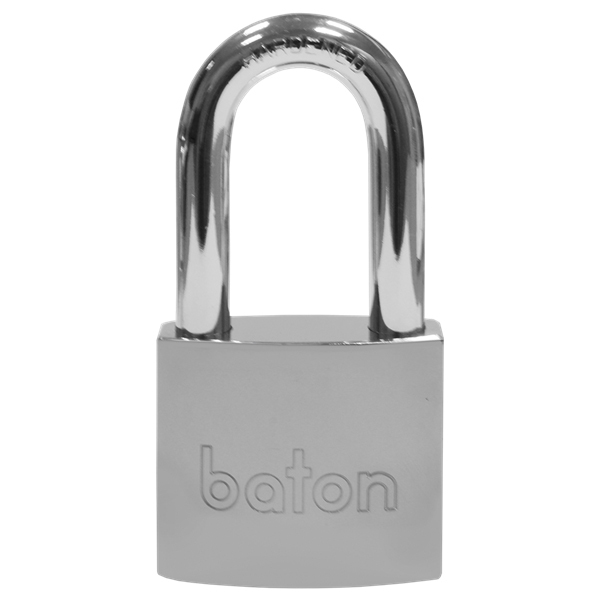 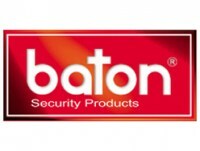 Baton 6020 Series padlock with disc detainer high security locking system. 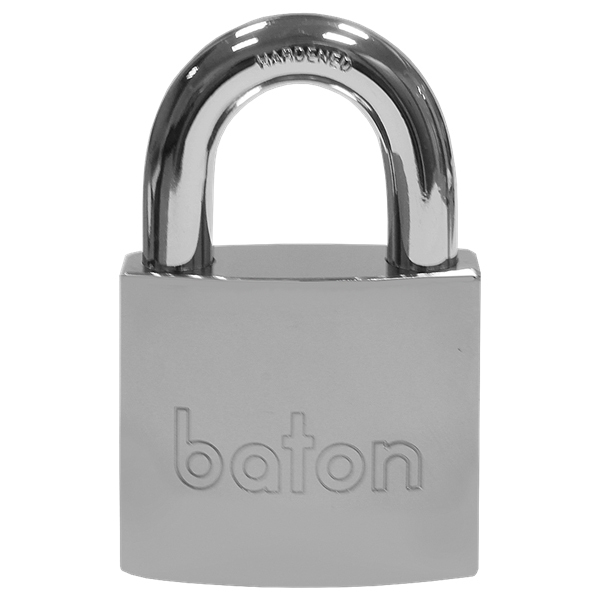 A Maxi-Security solid brass padlock with a chrome plated body for great weather protection. 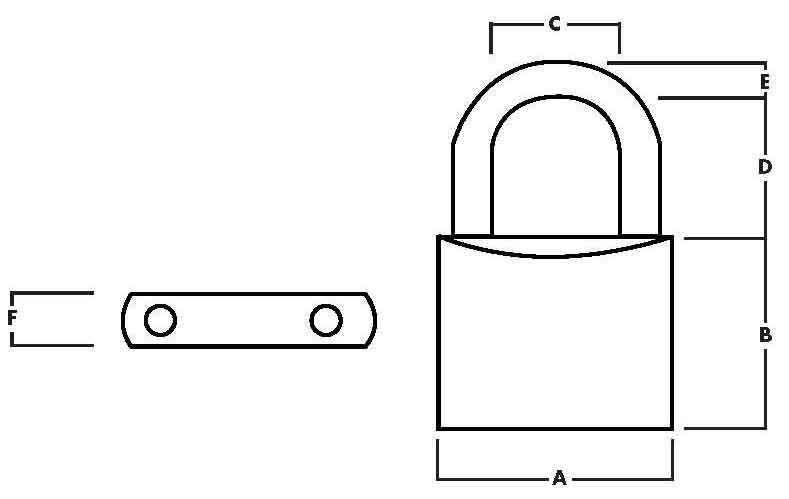 These high security padlocks use two ball bearings to lock the shackle in place and use disc detainer locking technology along with a half moon style key.